Shocking images have laid bare the horrific realities of the civil war in Yemen, which has now been raging for almost four years. Many of the severely malnourished children are younger than the war itself, and have never known anything other than conflict. More than 100,000 people are estimated to have be killed and about three million displaced due to the fighting between the UAE-backed Southern Transitional Council (STC) and the Saudi-backed Yemeni government. An estimated 500,000 children may not see their next birthday as a result of the war the UN children’s fund has described as a ‘living hell’ for minors. 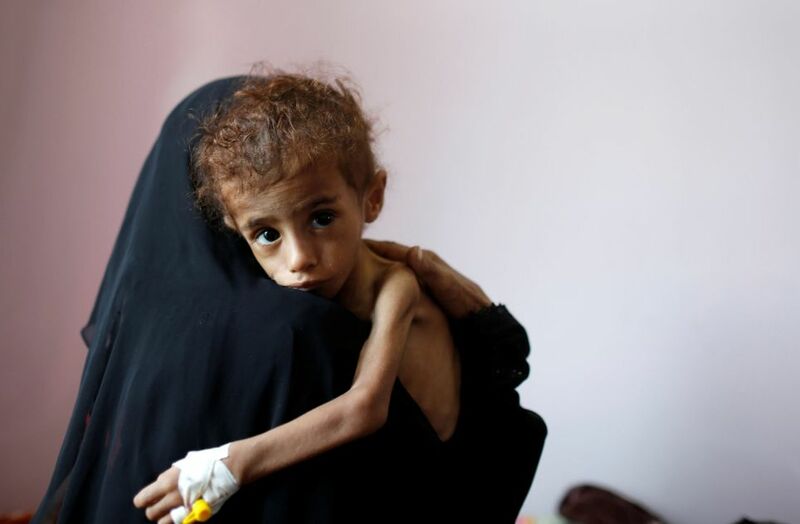 The UN has warned that international aid agencies are losing the fight against famine in Yemen, where 3.5 million people may soon be added to the eight million Yemenis already facing starvation – more than half of them children.